Home › Academy › Help & FAQs › How to restore the administrator password? You can easily restore your admin password in case you’ve forgotten or lost it, provided that you have access to your site database. 1. 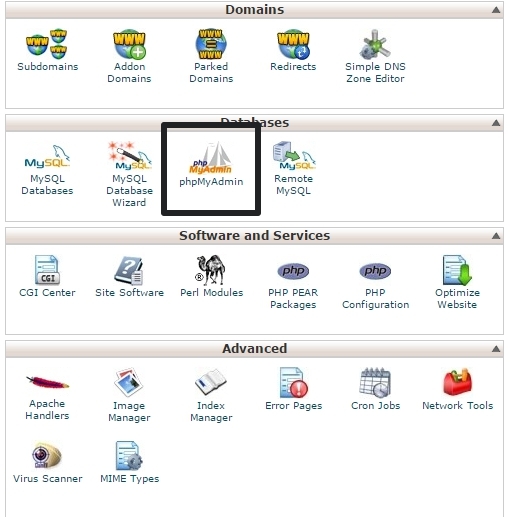 Access your hosting control panel and go to phpMyAdmin. 2. Select the database to which your website is attached. 3. 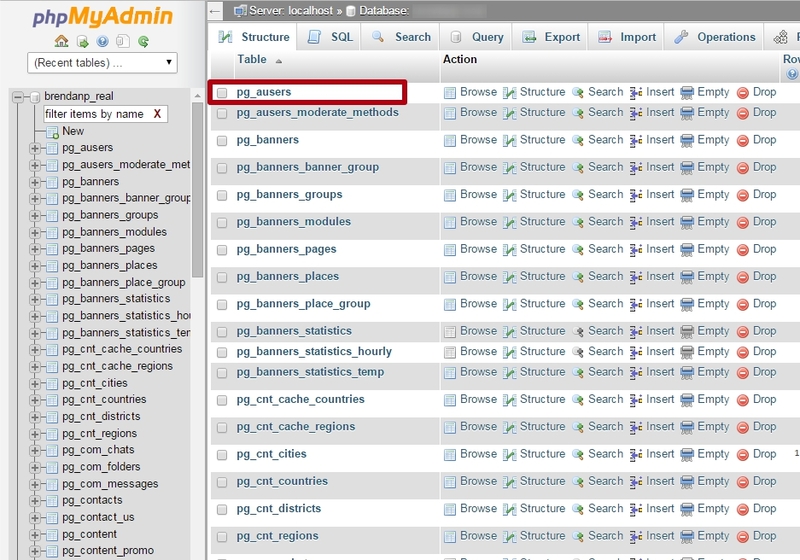 Find [prefix]_ausers table and click on the name of the table. 4. Inside, find the line with your admin details (email, nickname, name). Click ‘Edit’. 6. Alternatively, if you want to give temporary admin access to our support team or a webmaster, you can insert this code e00cf25ad42683b3df678c61f42c6bda into the ‘Value’ input field instead of what you currently see. This code is equal to admin1. Please note that if you insert the code, you do not need to select MD5 under ‘Function’ anymore because the new password is already encrypted. 7. For Dating Pro versions starting from 2018.12, Dating Pro Liebe, insert this code $2y$10$m.QanMWuphRotVU9ReiQ1u6qG2gkYA6yOPnLHQimvOPt13WJam6eC into the ‘Value’ input field instead of what you currently see. This code is equal to admin1. Leave Function field empty. If you have any questions, please feel free to contact us by phone or in the live chat.